As most of you have observed we’ve been having a lot of conversations among the raid officers over the last several weeks about how to get past the speed bump we’ve encountered in Upper Heroic Hellfire Citadel. To start with we want to remind everyone about our values – these are the things that drive our decision making and they’ve been a part of who we are since we first stepped into Molten Core over ten years ago. Foremost among those is that our people come first. Before loot, even before progress. We value YOU. You are much more important to us than the outcome of any one raid encounter. We encourage you to go back and look over all our values again and be reminded what it is that makes The Anvil special. So with that in mind – where are we headed for the final leg of Warlords and what is the plan leading up to Legion? Obviously we’ve been looking a lot at our recent performance on Zakkun (H) and Archimonde (N). Looking at the logs tells us that we DO have the DPS to finish that fight. Gear isn’t really the issue. Obviously gear (and raw output) makes everything easier and out-gearing the fight is one way to win but the reality is that failure in mechanics, not gear or raw output is what’s holding us back. So how do we address this? We have a couple of ideas for the next three months that we think will help us get over the hump. We’re going to pursue some recruitment for the raid and possibly the guild. (Those of you who are in the raid but not the guild – several of you are already on a path to guild membership and those who aren’t don’t need to worry: membership in Thundering Hammer has always been an option for raiders but has never been a requirement, nor will it be. )The reality here is that as raid size grows closer to the 20 man mark it helps to smooth out some of the bumps. Losing a single person in an 18 man raid isn’t as detrimental as it is when there are only 11 of us. We’ve also observed that as gear scales higher at end game the boss scaling on Heroic doesn’t tend to keep up – meaning that the average DPS threshold required for victory starts to get lower as you get past about 14-15 people at 710+ ilvl. So to help us with recruitment we’re going to start devoting one night a week out of our raid time to bringing in guests to raid with us. We will be using the LFG tool as well as our own personal networks of connections to bring in folks who might be interested in joining us on a more permanent basis. We will be using Personal Loot when we do this for the benefit of our guests and our objective is to show them a good time. Give them a taste of our community and atmosphere, have some fun and win some easier fights so they can see the quality of our people and get connected with us. We know not everyone we bring in will be Anvil Raid or Thundering Hammer material, and that’s fine – but every single xpac cycle we have met great new people and added members to our community during those last few months of ‘end of content’ doldrums. We are confident we will meet a few of them this year as well and that will help our raid now and it will help as we prepare for The Emerald Nightmare and The Nighthold. What this means practically is that we’re going to be seeing more of Lower Citadel over the next few weeks. This will provide us a chance to ensure everyone’s Legendary Ring is complete and to gear up some of your alts as well. If your raid main is already BiS from Lower and you would like to bring an alt we would like to accommodate you in that, but there are a few restrictions: First, composition still matters. We are going to make sure we have the requisite tanks and heals and the right ratio of melee and ranged to still be successful. We aren’t taking six healer alts or eight tanks into Lower this Saturday. Second, not everyone can be on their alt at the same time. If the demand for this is overwhelming, you guys are going to have to take turns. Remember the primary objectives for being back in Lower are to give us an opportunity to get to know new folks, to clean up our mechanics on fights that we know we can win but are still making mistakes on and to fill in missing gear pieces to make sure everyone has their set bonuses. Third, we reserve the right to ask you to switch back to your main. This should go without saying. Nearly every week we are asking someone to go get a specific character because it is what is best for the raid. Just because we’re revisiting some already conquered content doesn’t mean that stops. The overriding priority is always ‘what is best for the team?’ Lastly, consistency matters. We need you to be there for the team as often as you can be. We’re not telling you to subjugate your real life to the needs of the raid – in fact if Malk catches you doing that he’s probably going to take you aside and have a talk about priorities with you. What we are saying is that if you’ve got time to log in and play with your friends and you’re still committed to the raid then we need you to be here for the team as much as you can be for the next three months. We’re going to focus on progression one night a week. Currently the plan is for that night to be Friday, and we won’t be looking to bring in guests on those nights unless they’ve expressed interest in being a more permanent part of the team. If we’re going to wipe we want it to be alongside friends, not strangers. 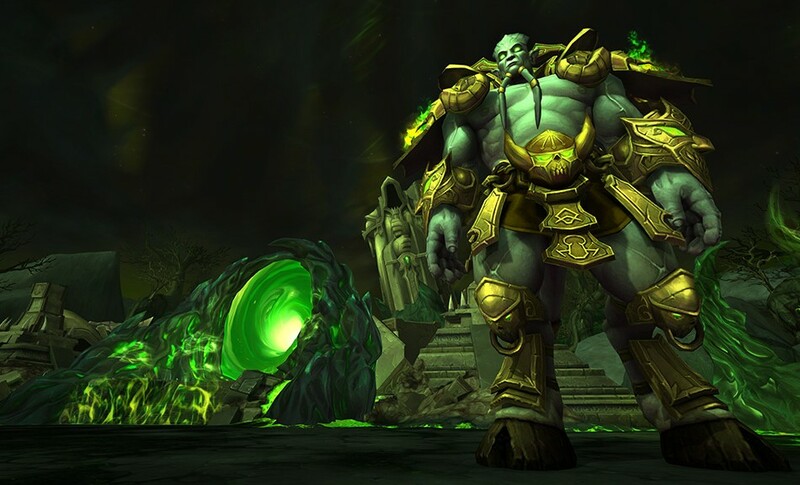 The current plan for progression nights is to start with Mannoroth and Archimonde on Normal to get warmed up and to serve as a barometer for our poise and mechanics. When the Archimonde fight is done cleanly, that is usually a clear signal that we’re set to have a good night in Upper progression. When it’s a disaster that’s usually a signal too. If we see what we need to on Fridays we will move on to Upper and work on mastering mechanics on a boss there. If for whatever reason we don’t see success in our warm up we will take the raid to Lower (H) and clear the beginning of that so that we can maximize our time on Saturday night and possibly have time for another Upper attempt at the end of night 2. We are focusing on mechanics and going back to the basics on all of our fights. Leadership is going to be expected to come well read on progression fights and we are going to ask everyone to make sure they have watched the Long Version video of whichever fight we are on for the week. We will be talking about things like position, spatial awareness, basic response, roles and responsibilities for any fight where we see trouble. (As an example – this past week on Kilrogg and Iskar we saw multiple problems that need to be addressed mechanically.) We KNOW you guys know these fights, but sometimes familiarity results in sloppiness and forgetfulness. So we’re going back to the basics. Come prepared to talk shop and fix mechanics every night regardless of whether a boss is on ‘farm’ status or not. We are no longer going to assume that everyone remembers the keys to success on each fight. We are here to help each other and that means we’re going to talk it out until every pull looks flawless – because we CAN do this together. We ARE going to be looking for ways to improve gear. A lot of us obviously are all but done with Lower drops, but that doesn’t mean we’re actually all Best-in-Slot outside of Upper. Looking at the armory reveals that there are many areas for improvement in the gear department. We know gear won’t fix the underlying problems, but it does make everything easier and we’re not about to overlook that aspect. We also know that there IS a gear check on the way in Upper Heroic and we need to get ahead of it if we want to finish before Legion drops. If you have a gear need that doesn’t require a drop in Upper we need to know about it. PLEASE communicate with leadership. Part of that communication involves making sure you have filled out our Hellfire Gear Progression Survey. Do you need valor for full 2/2 upgrades? Is there a trinket drop in Mythic you’re after? Coordinate with leadership. We are running timewalking constantly right now and we’ve scheduled Mythics every Wednesday. There is no reason you can’t be upgraded! So there it is. That is ‘The Plan.’ We’ve gotten lots of feedback from many of you, we’ve spent lots of time wrestling with possibilities and this is the current set of four basic things we feel we need to do in order to move forward in our Hellfire Heroic progression. We are sure that we will wind up tweaking things as we move forward – and we are positive that we will get helpful feedback from all of you that will cause us to make modifications here and there. We ARE confident though that together we can and will get to the finish line. You guys are awesome and it is a privilege to spend time in game with you each week. Now let’s go beat up a demon and steal his lunch money. Thank you as always for being fun and amazing. We’re looking forward to finishing strong with you and to prepping for Legion raids alongside you all. We have a set of values that hasn’t changed and at the top of that list is loving the people we play the game with. We are here to have fun with YOU. We’re going to recruit more people to help. We’re using LFG among other things. One night a week will be dedicated to doing mostly Lower citadel and meeting new people and finding those few diamonds who are Anvil Raid material to join us on a permanent basis. Progression nights are for us, not for guests and we’re going to start with Manny and Archi on Normal and then move to Upper as long as we have the horsepower for it. We are going back to the basics and making sure we master mechanics on EVERY fight, and especially on progression fights. Time to watch videos and talk strat more. We are looking for every single % increase we can get from gear. If you have even a marginal upgrade need that we can help with we need to know. We love raiding with you and we’re confident we can do this together.